One of the themes that resonated most powerfully in our envisioning sessions was the call to renew our campus and simultaneously participate in the lifting up of the local community. 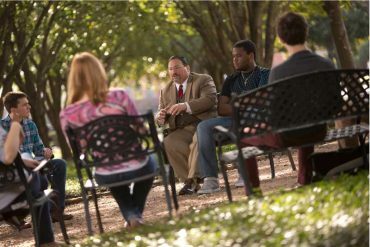 When Houston Baptist University was built, the neighborhood was developing, full of professionals looking for a reasonable commute to downtown and families raising their children. In fact, HBU was largely financed by the development and sale of the real estate surrounding the campus. Our university and the surrounding community are closely linked. We intend to move HBU into the future and to aid our neighbors at the same time. The local Community Development Corporation lists HBU as one of the area’s primary assets. 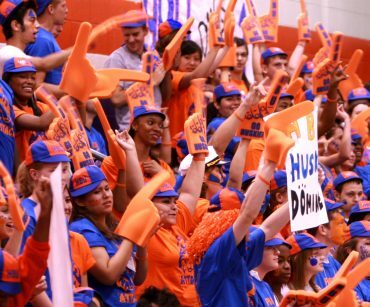 We plan to substantially increase the value of HBU as an asset to the community. That increase in value will occur architecturally, geographically, educationally, and financially. Several members of the HBU family called for the university to increase its architectural and geographic profile by expanding our physical presence to the edge of Highway 59. We will work to gain control of the land in question. 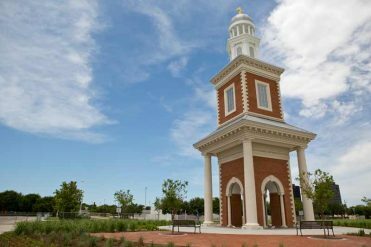 A number of participants in envisioning sessions also wanted to see HBU create a distinctive landmark that can be seen for miles around, such as a clock tower or a steeple. In addition to a single landmark, we plan to expand our entire campus to the freeway and as a campus to become a Houston landmark on one of the city’s major thoroughfares. In addition to becoming a Houston landmark by extending the perimeter of our campus, HBU will begin the project of replacing most of the buildings on campus with new structures while preserving our historic mall, which pivots on the ten pillars and the Hinton Center. The Morris Cultural Arts Center opened in the fall of 2007. Our new residence college and university academic building will both open in the fall of 2008. These historic sites and new structures will represent the face and architectural style of the new campus to develop through the influence of this vision. We will build upon those projects by developing new athletic facilities; a new home for the sciences, mathematics, and health care professions; a dedicated student life center with a full array of fitness equipment; a new library; a teaching facility for the fine arts; and a series of other improvements. The net result of our building program and our plan to substantially increase the student body and faculty will be to make our community into more of a true college neighborhood. HBU will attract a great deal of new capital, businesses, and jobs to the community. We would like to help facilitate a transition toward the kind of vital, mixed-income, diverse neighborhood that has been successfully developed elsewhere in Houston and in other major cities around the nation. A growing university can help make that happen. HBU plans to go beyond simply benefiting our community through growth and positive economic effects. We will also become more involved with the area through a variety of programs. HBU will begin working more closely with the City of Houston and our local Community Development Corporation to energize the neighborhood. We will initiate an intentional giving campaign that will link the contributions of HBU employees and students to ministries and charities doing effective work in the area. 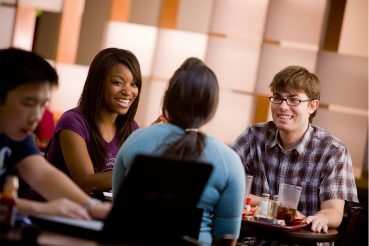 The combined involvement of the division of student life and the Department of Christianity and Philosophy could also facilitate an urban ministry program. We will also explore opportunities for a College of Continuing Studies to benefit the community and the university in providing programming for professional development executive education, and leisure learning. Perhaps most ambitiously, we will explore the possibility of starting a charter school/lab school on or near campus that will be overseen by our college of education. A school of that type would provide students with an excellent education while also giving our students a chance to learn by working with children. We are also considering the establishment of a childhood development center that would provide care and learning for very young children of faculty, staff, and students, as well as members of the community.